Winter is a time of migration to warmer climate, not only by birds, but, in the past generation or two, among many of the professionally retired in western societies. And right about now, in the midst of our fourth or fifth snowstorm here in NYC — I’ve lost count — the thought is completely understandable and immensely appealing. Moroccan-born visual and sound artist Younes Baba-Ali, who splits his time between Brussels and Casablanca, has an interesting take on the phenomenon of “migratory flux”. 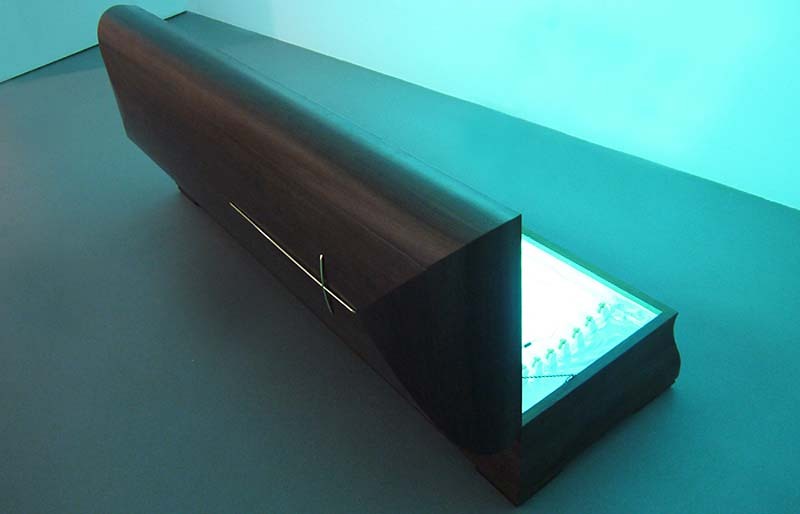 His installation/sculpture titled Ending Your Life Under the Sun converts a coffin into a tanning bed, or is it the other way around? 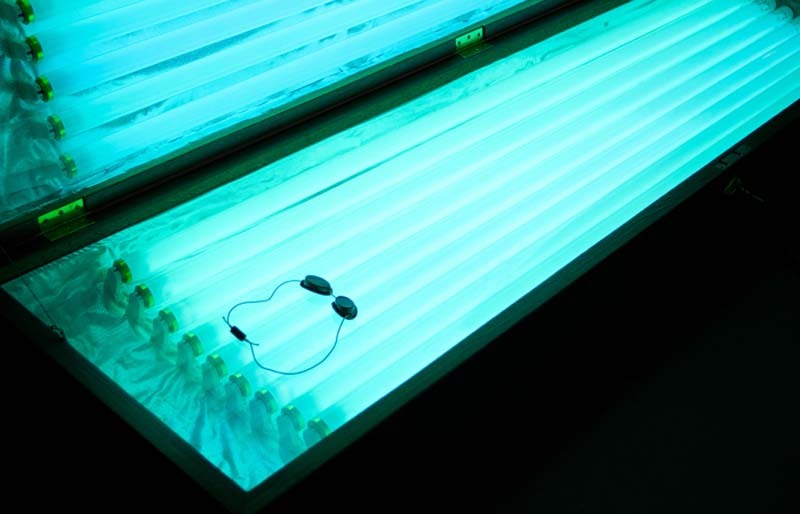 Who hasn’t associated those sun beds with coffins at some point? If you can get past the slightly morbid aspect, there’s definitely wiggle room for a chuckle. 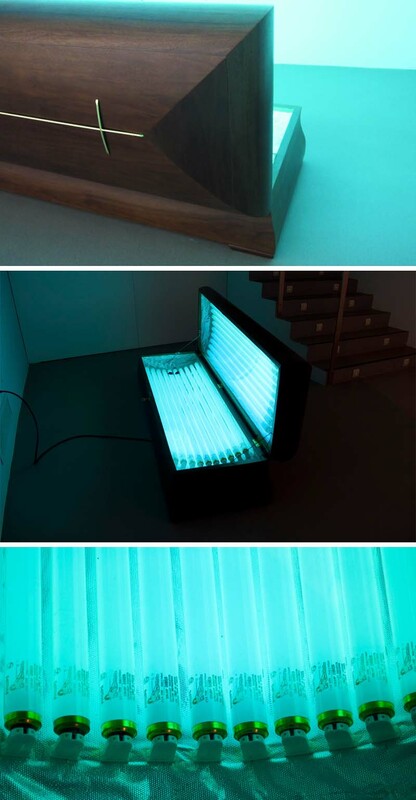 This entry was posted in Art, Fun, Light, Stuff We Like. Bookmark the permalink.